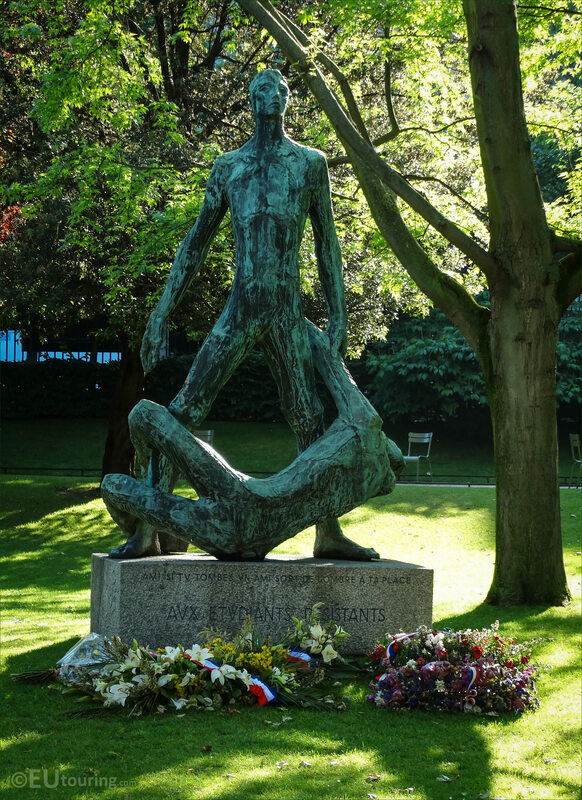 You will find numerous different monuments and statues in the Jardin du Luxembourg, and these high definition photos show the Etudiants morts dans la Resistance Monument by the French sculptor Gaston Watkin. 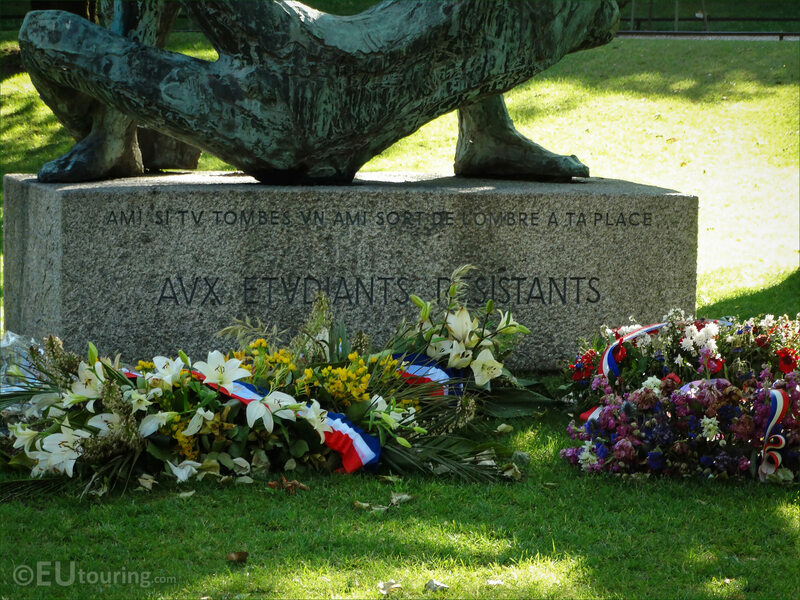 This first HD photo shows the full statue with flowers and wreaths that have been laid at the base, and this is because it is actually a memorial monument to commemorate the students and young people who died in the French resistance during World War II. 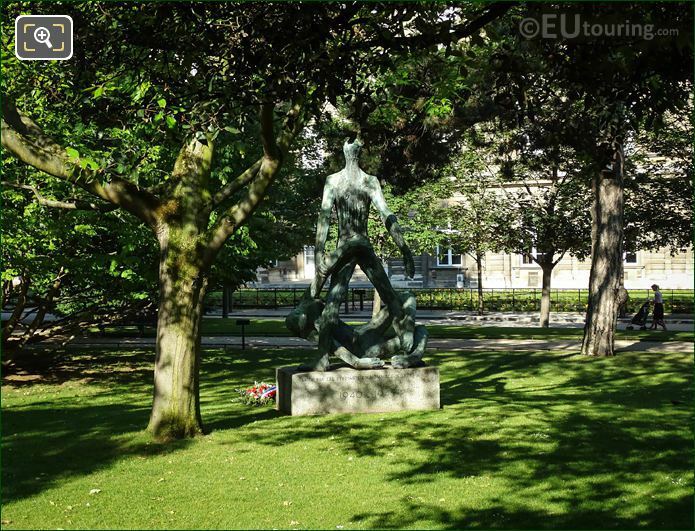 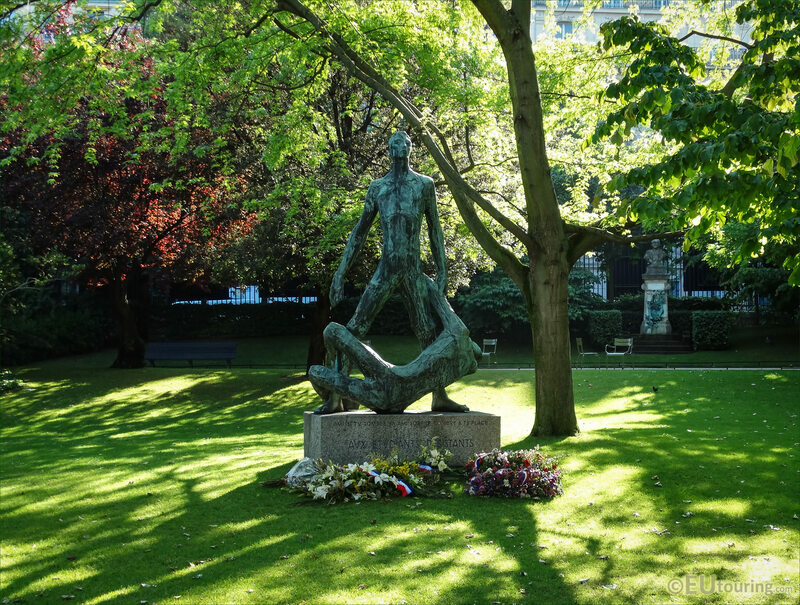 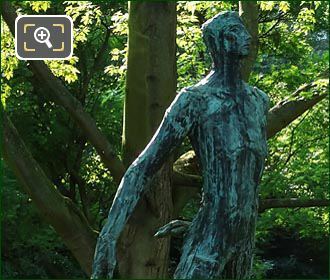 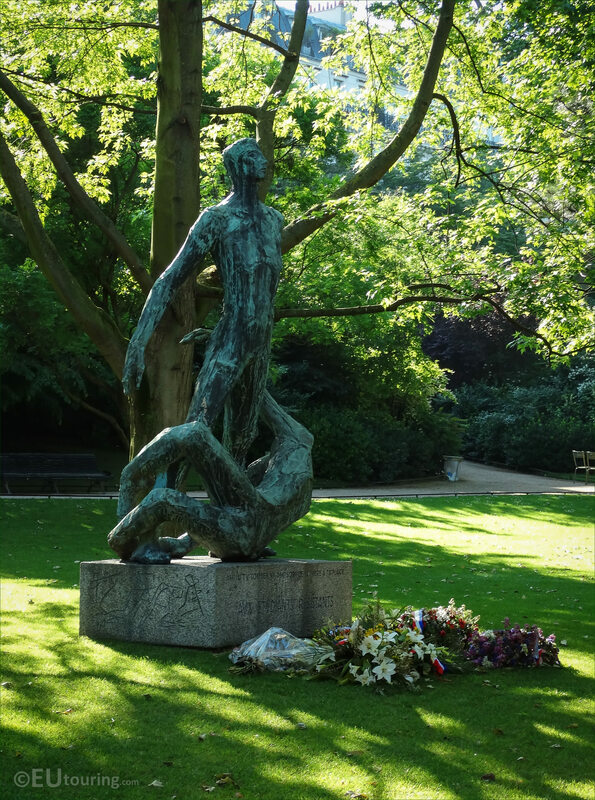 And this memorial monument was sculpted in bronze, and standing at a height of 3.75 metres, it was produced in 1954 by the artist Gaston Watkin, and paid for by a national subscription, with its official inauguration within the Luxembourg Gardens taking place on the 29th April 1956. 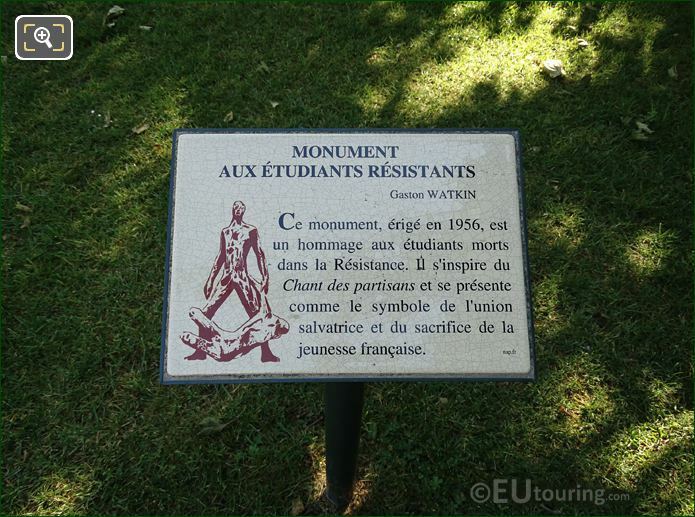 In this image you can see the back of the bronze statue on its stone base, which is called Etudiants morts dans la Resistance Monument, yet is sometimes referred to as Monument aux Etudiants Resistants, and in English the basic translations are Monument to the Students who died in the Resistance, or To the Resistance Students. 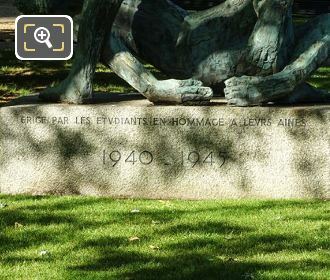 So in this photo you can see that the base of the statue has been inscribed with the latter name we mentioned above, and the idea of placing the monumental statue in the Jardin du Luxembourg was because it is very close to the Sorbonne and many other places of study, along with being close to the Latin Quarter of Paris, and it is these places that have the highest concentration of students. 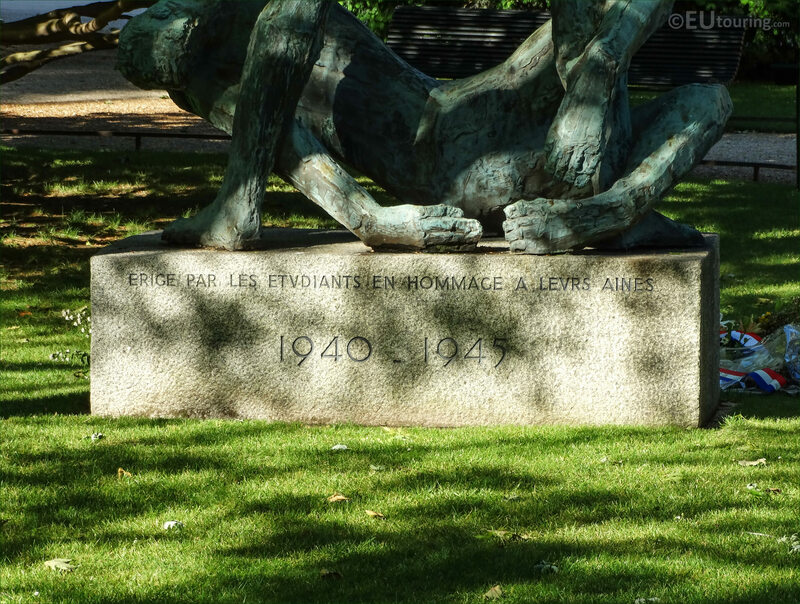 And here you can see the inscription on the back of the base of the statue, which mentions the dates of the Resistance in World War II when many died for their country, and the caption reads; Erige par les etudiants en hommage a leurs aines, which translates in English to; Erected by students in tribute to their elders. Yet in this HD photo you can see the plaque located in front of the monument aux Etudiants Resistants, and translated into English it reads; The monument, erected in 1956, is a tribute to the dead students in the Resistance. 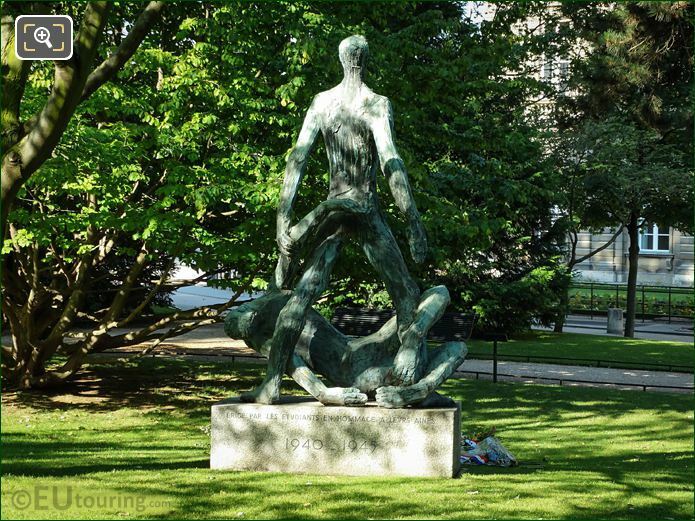 It is inspired by the Song of the Partisans, and presents itself as a symbol of union and the saving sacrifice of the French youth. Now this bronze statue shows a man standing, and a man fallen, and the artist Gaston Watkin was inspired by the song of the Partisans with a line that said; Friend, if you fall, a friend out of the shadows in your place, to depict the strength, honour and valour that the students of the Resistance had for their country. And Gaston Watkin was a French sculptor born in Toulouse in September 1916, and working with numerous different materials from stone to marble and bronze to steel, he was also an art teacher, yet still made time to produce numerous monumental statues and memorials that can be found all over France, prior to his passing in the May of 2011.